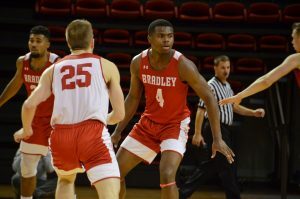 There’s no doubt about it, the men’s basketball team gets the most attention among Bradley athletics. 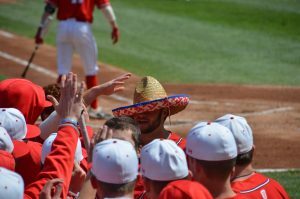 But while fans are all wrapped up in what’s going on in soccer or men’s basketball or baseball, the women’s teams are flying under the radar. The best example is the women’s basketball team. While almost everyone on campus could name Jim Les as the coach of the men’s team, not many could name the mind behind the women’s success. Her name – Paula Buscher. Buscher lead the women’s basketball team to the best season in program history, racking up 21 wins and picking up Missouri Valley Conference Coach of the Year honors along the way. At first glance, it may seem as if the women’s basketball team is an outlier in the overall picture of women’s sports at Bradley, but looking deeper it’s easy to see the women’s teams are on the rise. Last season, the volleyball, softball, women’s tennis and women’s basketball teams combined for a total of 33 wins. So far this season, with at least 21 games to play, not accounting for post season play and make-up games, the women’s teams have won 47. That’s 14 more wins already, with plenty of contests left to be won. The cross-country and women’s golf teams don’t keep overall win/loss records, but last year neither team was able to win a tournament. This season the women’s golf team has already won the MVC preview and is 2-0 in duel meets. The cross-country team still has yet to win, but did put forth its best efforts in meets on the Hilltop, a feat that has increased over the past year. During the 2007-08 school year, the four women’s sports that keep records won just 29 percent of its home games, which was just two percentage points higher than the Braves’ overall winning percentage. So far this year, the women have won 59 percent of their home games, doubling their home winning percentage from last year. A lot of this could have to do with new coaching. Sean Burdette and Amy Hayes, the first-year volleyball and softball coaches, have been able to make improvements in a short amount of time. Burdette, a former Ohio State assistant coach, manned a volleyball team that saw both its overall and home win totals double this past year. And those wins came away from campus, as the team was relocated to Illinois Central College and the Markin Family Student Recreation Center because of the demolition of Robertson Memorial Field House. The softball team has already matched its win total from last year, and Hayes has led the team to three home wins so far this year, after last year’s squad only recorded one win on the Hilltop. As a whole, the women are currently 10 games under .500 at 47-57. 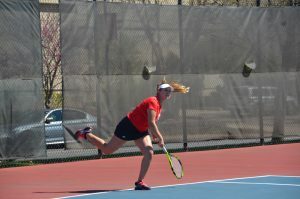 With strong finishes by the softball and tennis teams, the women have a chance to end the year winning half of their games after winning just 27 percent last year. Statistically speaking, every women’s team that has finished its season so far has improved, and the teams that are still in season are on pace to do the same. With new coaches just beginning to implement their systems and young, talented athletes waiting to leave their marks, the future should be bright for women’s athletics. Alex Mayster is a junior journalism major from Palatine. He is the Scout Sports Editor.